Take a quick look around your Dallas apartment. Is your place visitor-ready? When asked this question, most folks would have to say no. Keeping your apartment clean enough to be ready for guests at a moment’s notice may seem like a daunting task, but you can do it. Here are our top two strategies for successful cleaning. How do most of us clean? We let stuff pile up until our place is a gigantic mess, and then we devote hours to meticulously filing things away and diligently scrubbing surfaces. But this is no way to live! The best way to keep your apartment looking sharp is to clean as you go. But what does it mean to clean as you go? Here are some specifics. Cleaning as you go means staying on top of clutter. Schedule 10 or 15 minutes of putting-stuff-away time into your evening routine. You’ll feel better in your space and just might save time compared to marathon weekend cleaning sessions. 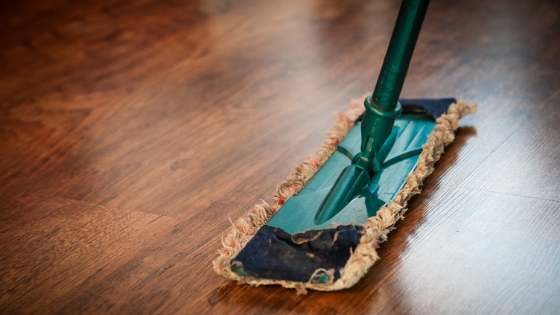 Our second clean-as-you-go strategy is to never walk away from a mess. Did something spill in the kitchen – even just a little? Grab a rag and wipe it up, right then and there. If you walk away, you run the risk of forgetting about the spill. When you next encounter it, it’s dried-on gunk that requires far more effort to clean. Of course, if you have children around, there will be times when you don’t have a choice but to walk away from a mess. Still, implement this strategy when you can. Even if you only clean 50 percent of the messes in the moment, that cuts your big cleaning sessions in half. It’s always a good idea to work smarter, not harder, and this includes your cleaning regimen. For example, don’t pile dinner prep dishes on the counter. Instead, unload your dishwasher before cooking dinner, so you can put dirty prep dishes directly in. Are you or someone you know looking for a new apartment in Dallas, Texas? If so, we’re here to help. Contact us today to find out all the benefits we have to offer here at Gramercy on the Park.